Looking for the best gift ideas for Respiratory Therapists? If so, then you’ve come to the right place. 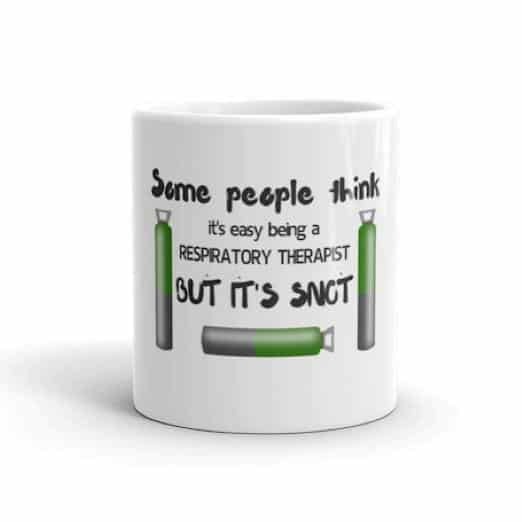 Maybe you’re a Respiratory Therapist yourself, or you’re just looking to get a gift for a friend or family member that is? Either way, you’re in luck, because we have compiled the absolute best list of gift ideas for respiratory therapists to help you make the right decision. Whether you’re looking for stocking stuffers, birthday gifts, or even Christmas presents, the following list contains everything you need to get a special gift for that special someone. If you’re ready, let’s go ahead and dive in! You can’t really go wrong by getting a Respiratory Therapist a new stethoscope. I mean, it’s probably the most common and most important tool that we use on a daily basis. Our #1 most recommended stethoscope is the 3M Littmann Classic III but you can find a list of all the best stethoscopes by clicking here. Another tool that Respiratory Therapists use hundreds of times per shift, each and every day. It’s important to have an accurate pulse oximeter to check the patient’s oxygen levels in order to know how to properly treat them. We like the Innovo Deluxe Fingertip Pulse Oximeter pulse oximeter for a plethora of reasons. You can’t really go wrong with it. You can see all the best pulse oximeters by clicking here. I can say this, Respiratory Therapists are very proud of what they do. It’s awesome to have a way to display to the world what we do when we’re not on duty. That is exactly why I love T-Shirts so much! 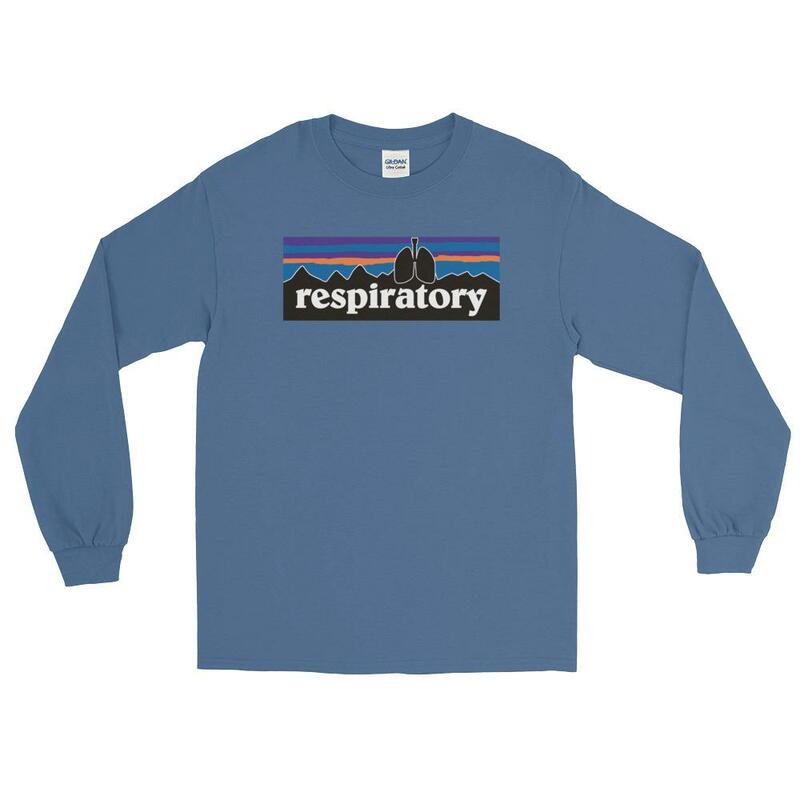 Our online store over at RespiratoryShop.com is loaded with the absolute best T-Shirts that are designed specifically for Respiratory Therapists. It seems that there are thousands of stores out there for nurses, doctors, and other professions, but yet nothing for RT’s. Well not any longer because we are adding new designs to our store each and every week. 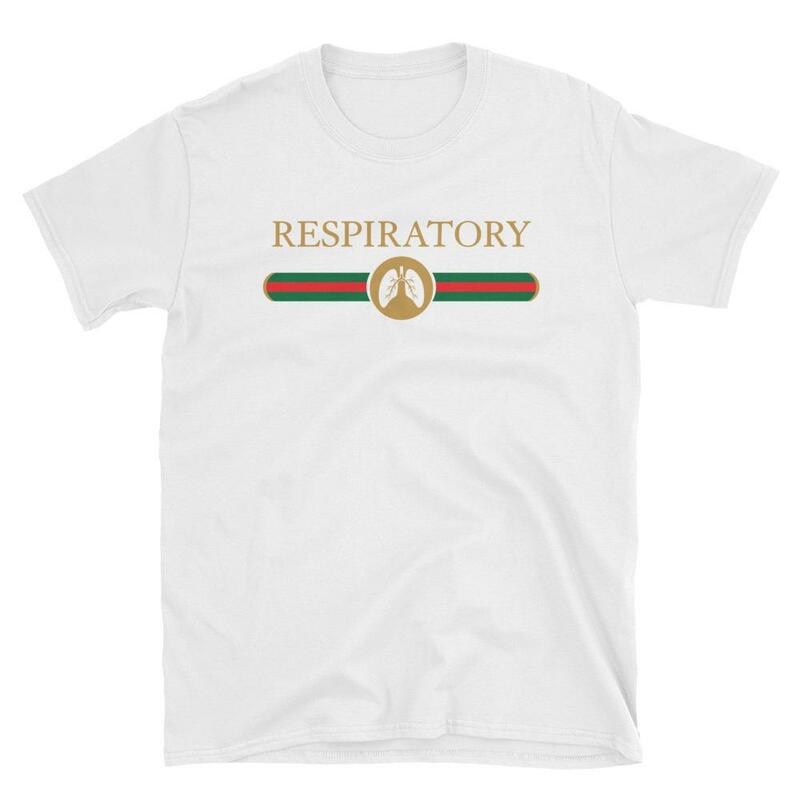 But back to what I was saying – T-Shirts are a great gift for any and every Respiratory Therapist. I mean, every Respiratory Therapist needs an awesome coffee mug to drink their tasty Starbucks coffee out of, right? 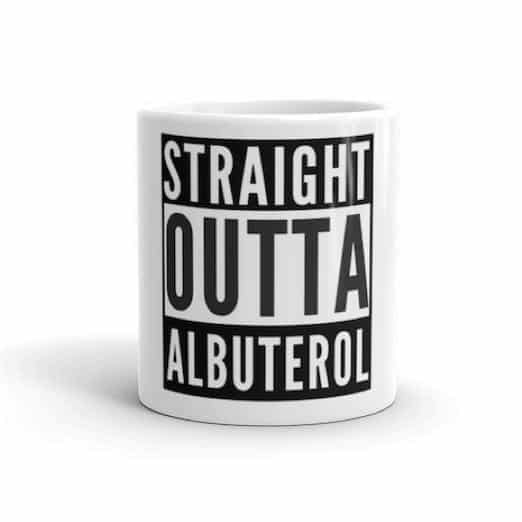 Straight Outta Albuterol, get it? It’s a spin-off of the movie ‘Straight Outta Compton’ using the most common drug we give on a daily basis. “Some people think it’s easy being a Respiratory Therapist, but it’s SNOT.” This one cracks me up every time. Whether or not we want to admit it, caffeine is a huge part of the job as an RT. Take your coffee-drinking game to the next level with these awesome mugs. A pen-light is a tool that not a lot of Respiratory Therapists use but they should! The main reason RT’s don’t use a pen-light is because they don’t have one of our own. That’s why this would be a perfect little stocking stuffer or birthday happy for any respiratory therapist. 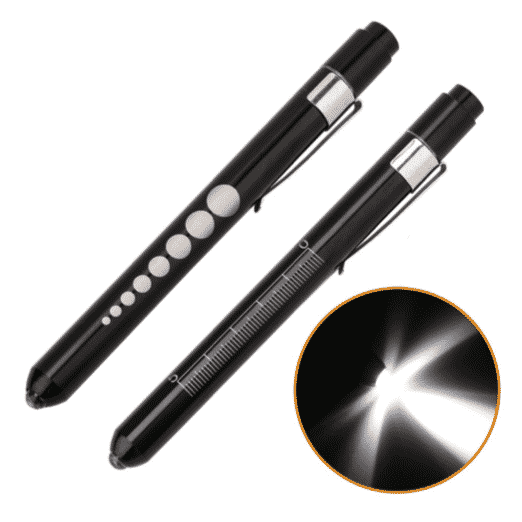 We really like this Premium Medical Pen Light that is available in our store. Because what more could a Respiratory Therapist want after a stressful 12-hour shift than a big glass of wine? These two-sided RT Wine Glass Goblets that we found on Amazon.com are too neat. They have three pour-line thresholds, so the amount of wine that you pour in your glass depends on how your day went. Who doesn’t like getting a comfy new hoodie or sweatshirt? I know for me personally, I’m never disappointed to open up a fresh new hoodie to add to my collection. Again, the only problem with this is that there isn’t must of a selection out there for Respiratory Therapist. 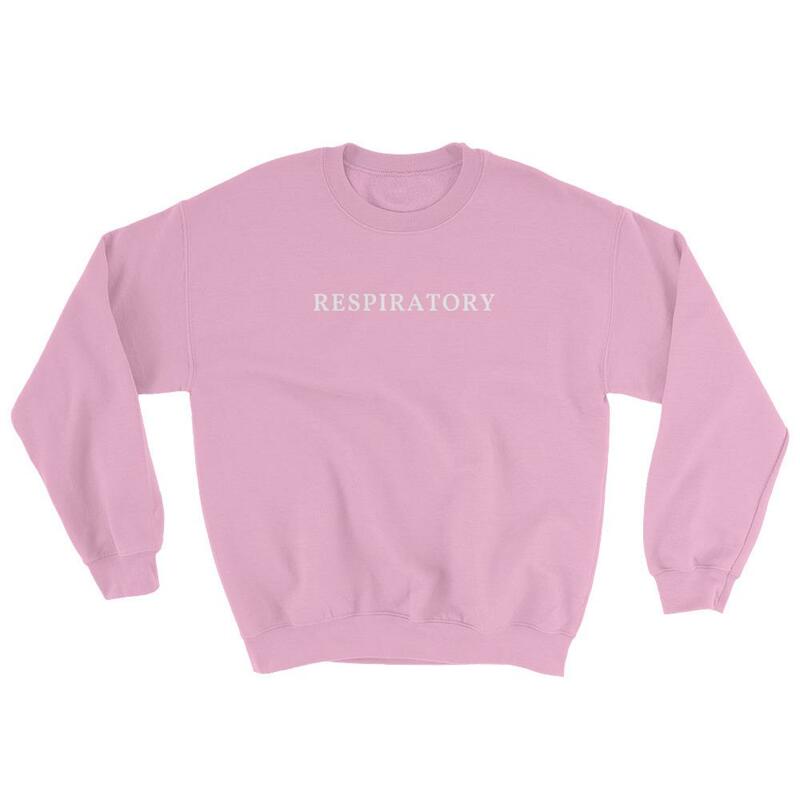 But we’re working on changing that with our online store at RespiratoryShop.com. We already have a very nice selection of hoodies and sweatshirts and we’re adding new designs every week! 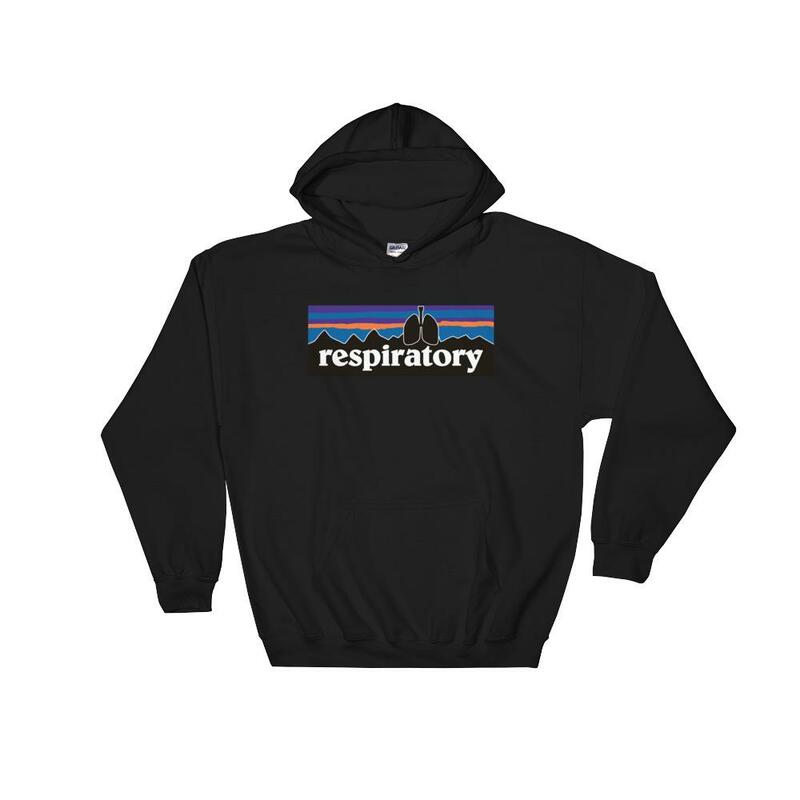 So if you really want to please your loved one (who happens to be a Respiratory Therapist), you can never go wrong by getting them a new hoodie. This one is for the ladies, so gentlemen, you can just keep on scrolling. But honestly though, what lady doesn’t love jewelry? Whether it’s earrings, bracelets, or a new necklace, you can’t go wrong getting (yourself or) your significant other a new piece of jewelry; especially if it helps show off their RT pride while looking beautiful at the same time. 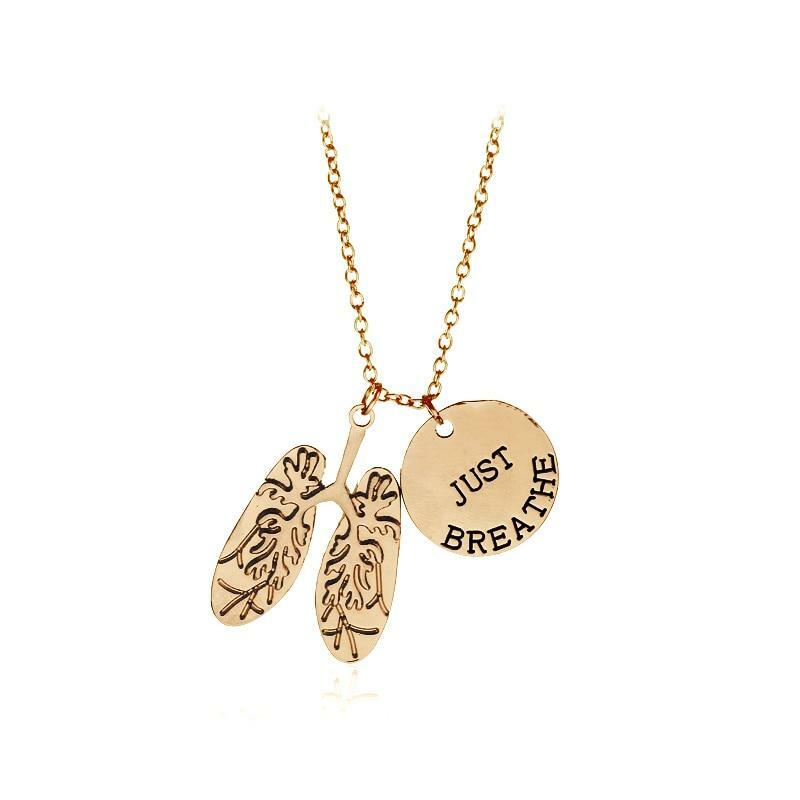 The Just Breathe Necklace, which is a slogan that holds dear to every RT. 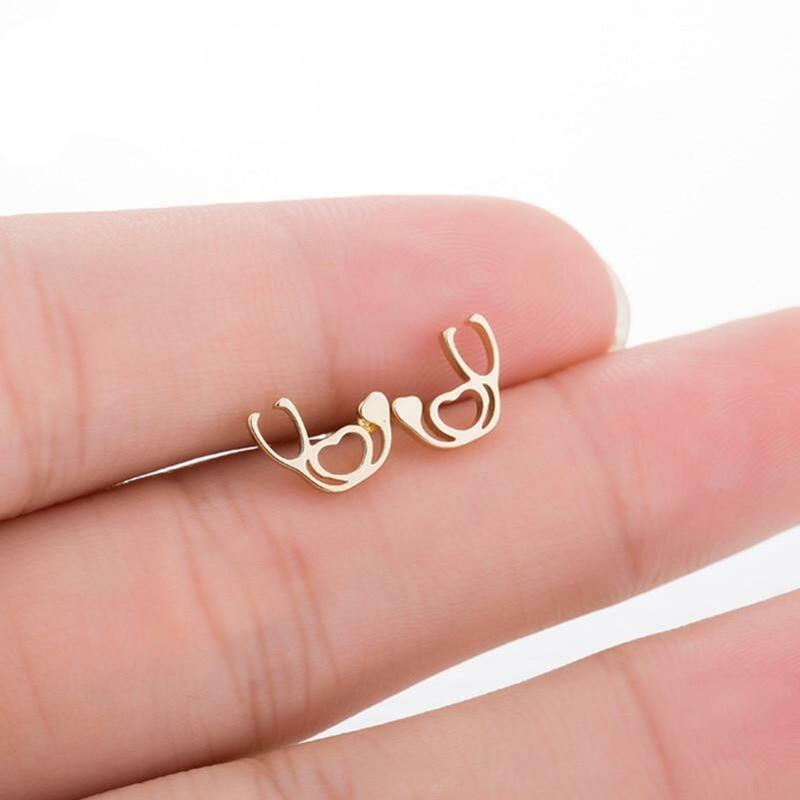 And then there’s the Stethoscope Heart Earrings and are not only cute but stunning as well. If there’s one thing that always seems to go missing in the hospital, its pens. I think I can speak for most Respiratory Therapists when I say that these little guys are hard to keep up with. Whether you lose, misplace, or even come across a nurse with sticky fingers, you’re going to lose more pens than you want. A good way to solve this problem is by keeping a box of pens in your locker or backpack. You can’t go wrong with the Paper Mate Retractable Ballpoint Pens. Coffee is pretty much a must-have, especially for those of us who work the night shift. I can almost guarantee you that any Respiratory Therapist will appreciate the gesture of some tasty coffee as a gift (just make sure they are a coffee drinker). I really like the Starbucks French Roast Ground Coffee. The darker, the better. And besides, they will need some coffee for their fresh new mugs! After a long round of administering breathing treatments, the first thing we like to do is sit down with an ice cold glass of water or tea. And the best way to keep your drinks cold for an entire 12-hour shift is by using a tumbler. We like the YETI Rambler. I can literally fill it up with ice cold sweet tea before my shift starts, and it’s the same temperature when it ends. Maybe this one is just me, but I have to have my chapstick while at work. And I don’t think I’m alone on this one. Chapstick is great to have anywhere, especially working in the hospital. I really like the Burt’s Bees because of the peppermint oil. It would make for a great stocking-stuffer! So there you have it, an awesome list of gift ideas for Respiratory Therapists. We can be difficult at times, and hard to please, but this list should guide you in the right direction and help you pick out a cool gift for any Respiratory Therapist. Books are another great idea to give as a gift. Check out our list of the best books for medical professionals.